Experience the PSLE first hand, and work through to fun and effective strategies to lay a strong foundation in pre-school and lower primary. Parents of children between the ages of 2 to 8 should sign up. After 8, it will be too late to use these strategies. Learn not to fear Higher Order Thinking (HOT) skills PSLE requirements. Understand what Higher Order Skills are. Learn to analyze and identify the HOT skills require-ments in school assignments. Learn to create HOT skills activities for children of all ages (from 2 to 12). Learn how HOT skills can be trained through daily parent-child interactions. 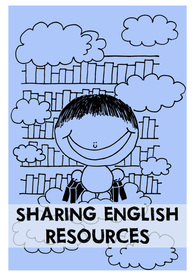 These are free sample resources that showcase the type of materials we use in Dr Pet's English Enrichment. Do feel free to download and use them. A 9 hour workshop divided into 3 mornings. These are scheduled during the school holidays. Children learn a series of Rich Writing skills we surfaced from textual analyses of published authors of fiction. 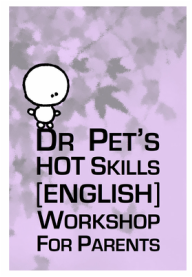 We are not providing Dr Pet's Compo Writing Workshop in 2014. We no longer sell this. Please download the free iPad app called "Novels". Then, follow the instructions HERE to apply the Potato Chinese® method. We are not related in any way to "Novels". We just think that the free app is a better product than what we have.